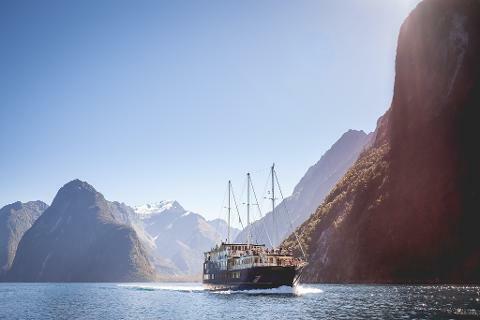 Enjoy a leisurely small group excursion to Milford Sound from Te Anau, with a Boat Cruise along the full length of the fiord. 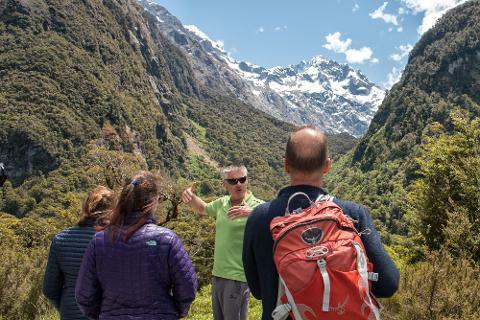 Our relaxed timetable ensures plenty of opportunities for guests to enjoy short walks, photographic stops and exploration with the nature guide. 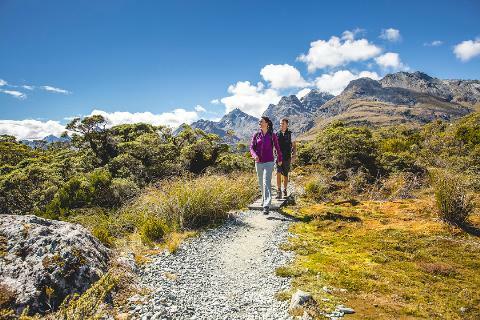 Plus, from October to April guests can select 2 ½ hours hiking (unguided) on the renowned Routeburn Track to Key Summit. 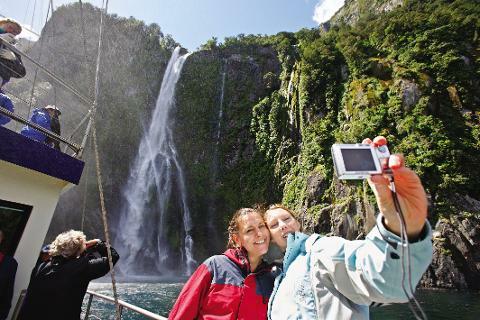 At Milford Sound join a scheduled extended, nature style boat cruise of Milford Sound to the Tasman Sea. 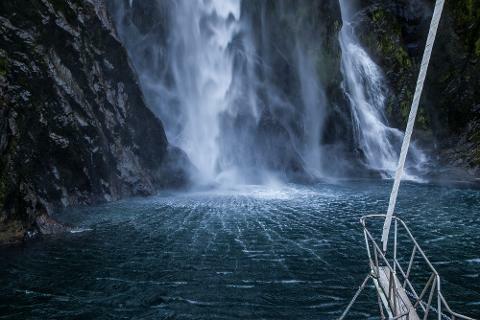 The cruise provides excellent indoor and outdoor viewing opportunities of the waterfalls, rainforest, mountains and wildlife. 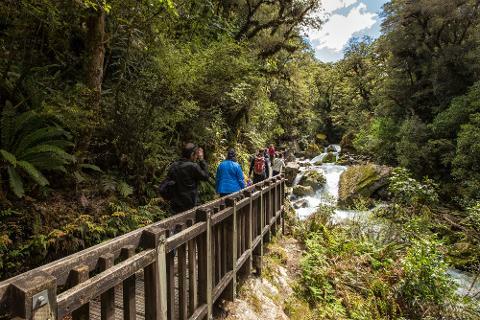 Discover more with our overland tour, the local guide will share a series of walks in a range of different environments, providing interpretation of the unique native flora and fauna. 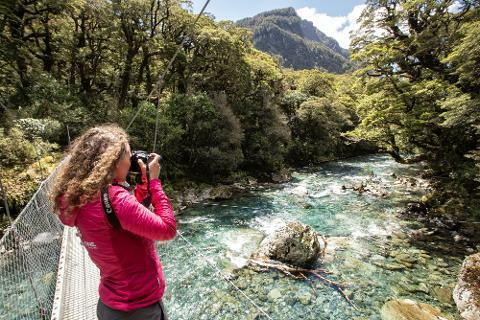 Our National Park concession allows us to access Gertrude Valley, Lake Gunn, Marian Gantry, and Humboldt Falls, alongside highlights and to avoid any crowds. 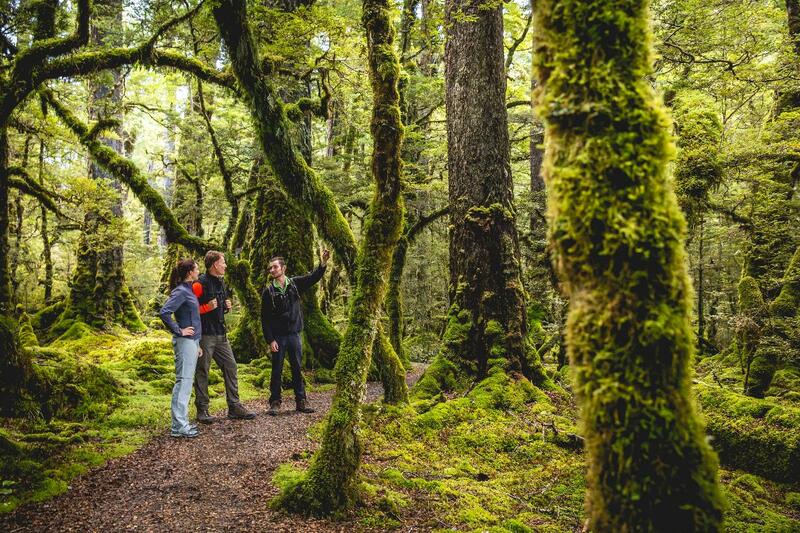 This ensures clients get to enjoy the best wilderness and wildlife opportunities available in this incredible, World Heritage Area. We also include a unique wilderness tea-break with complimentary tea, coffee and home style biscuits. 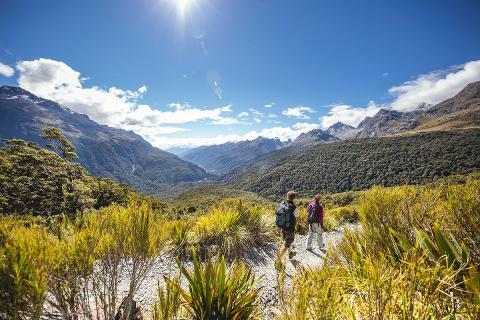 For passengers wanting a longer hike option, a 2.5-hour unguided walk to Key Summit on the renowned Routeburn Track is offered on our summer time table from October to April. 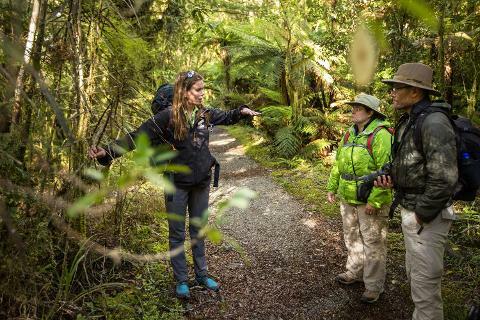 This walk ascends through lush beech rainforest and into the alpine environment with panoramic views of the surrounding Fiordland Mountains, alpine lakes and deep bush clad valleys.